Whoever you are, whatever you do, music has been tightly bonded with us. R&B, country or jazz, no matter which one is your favorite, music can always bring back your hidden emotion and memories. Nowadays, there are so many speakers in the market naming from wireless earbud to levitating speaker. But, how often do we look at our walls, with those wires and bulky mounted speakers, if only there was a much more elegant and minimal way to display them? if only, they would look much more engaging along with not disturbing for the sake of smart home. The VisualSonic seems like a viable solution for this! Features — Size does matter! A common phrase used by most men, but it’s the other way round when comes to electronics and gadgets. Right from the thickness of our smart TVs to the size of your smartphones, we have an inclination towards thinner and smaller objects. The VisualSonic seems like a bargain, by having a thickness of barely 25mm. Therefore, it can be easily disguised as a simple photo art and nobody would know where the music from. Art enthusiast or not, it would surely make you look like a modern and futuristic techie. Competing with an established market product in the “Beosound”, VisualSonic seems like one of its kind. Most competitors in the market have bulkier designs and seem much unrealistically heavier. The VisualSonic, on the other hand, is compact and can be accommodated in a way that almost unnoticeable. The Pros – Why should you have it? 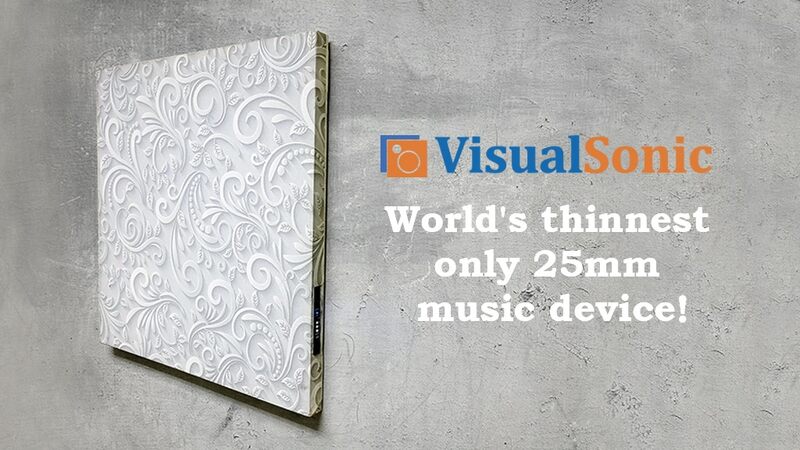 Competitive pricing – Unlike the others in the market, the VisualSonic seems very competitively priced. The base models being priced from as low as $97 (before the official launch) is a no-brainer in comparison to any bulkier speakers in the market. 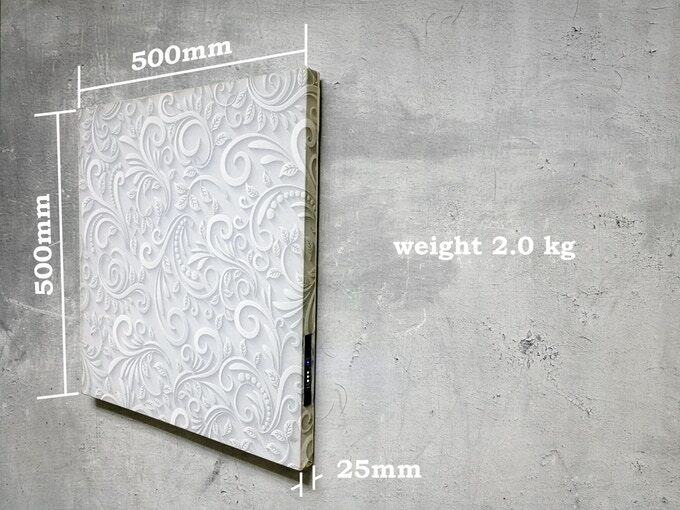 Lightweight – The product is light in weight, and is not more than 2kg. 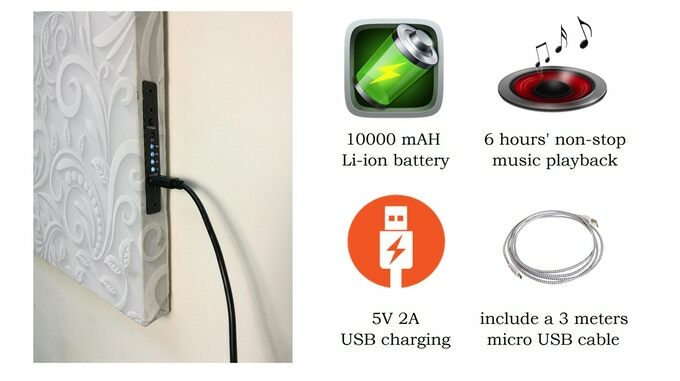 Because of that, it could be easily mounted by yourself and connect to your devices. Vice versa, it took less than a few minutes to unmount/remove from the wall. Disguise and better decor – The main selling point of the product is that it can be disguised as a photo frame for your naked wall. Two bird one stone! There are multiple designs you can choose to fit your vibe. 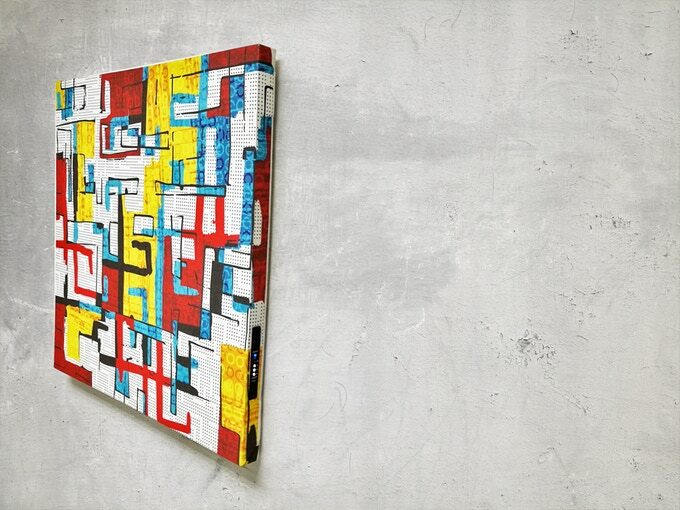 The designs range from artistic paintings, abstract, to the modern style which better suit the younger generations. Up-to-date technology – Visualsonic uses wireless Bluetooth 4.0 BLE with 10,000 rechargeable Li-ion battery which offers more than 6 hours of consecutive playback. Not to mention, it’s TWS (True Wireless Stetro) compatible. For more specification, you can learn more here. 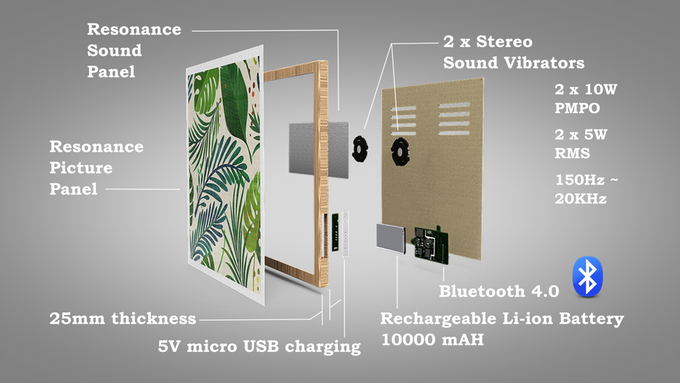 Not exactly mobile – Unlike other portable speakers of similar price, VisualSonic is a frame and is, therefore, can only be part of the interiors of your home. No Stereo sound effects – On a standalone basis, VisialSonic hardly emulates and provide a stereophonic sound output. Also, it would be difficult to ensure a surrounding sound effect just with the use of the single frame. Also, the quality of the sound of the speaker still has the room for improvement. The quality of the frame seems sub-standard – The frame is made of MDF Board which is not as durable as other materials available in the market. Better alternatives of protective covering could/should have been utilized. The VisualSonic seems like a cool option for those working on the smart-home project and is definitely a minimal way to feature your home in clean and elegant. If you’re going for a quality speaker, you can of course get a better one under the similar price tag. Nonetheless, this 25mm VisualSonic awesome speaker is now available for only $97 (under Early Bird) on Kickstarter. You can check the latest pricing and availability via the link below.